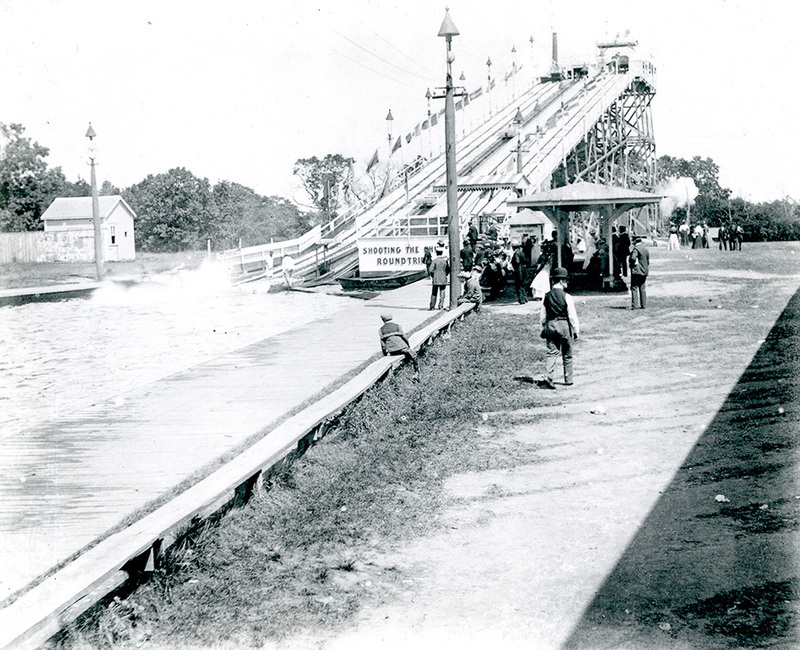 Crescent Park drew in a large crowd each summer, boasting of its “famous” clam bakes and novel amusement rides. The story of Crescent Park begins just before the turn of the century, with Rhode Island in the midst of an industrial upheaval. George Boyden bought land and later a hotel in the late 1880s, which became a beloved oceanfront park with amusement park rides and social events. 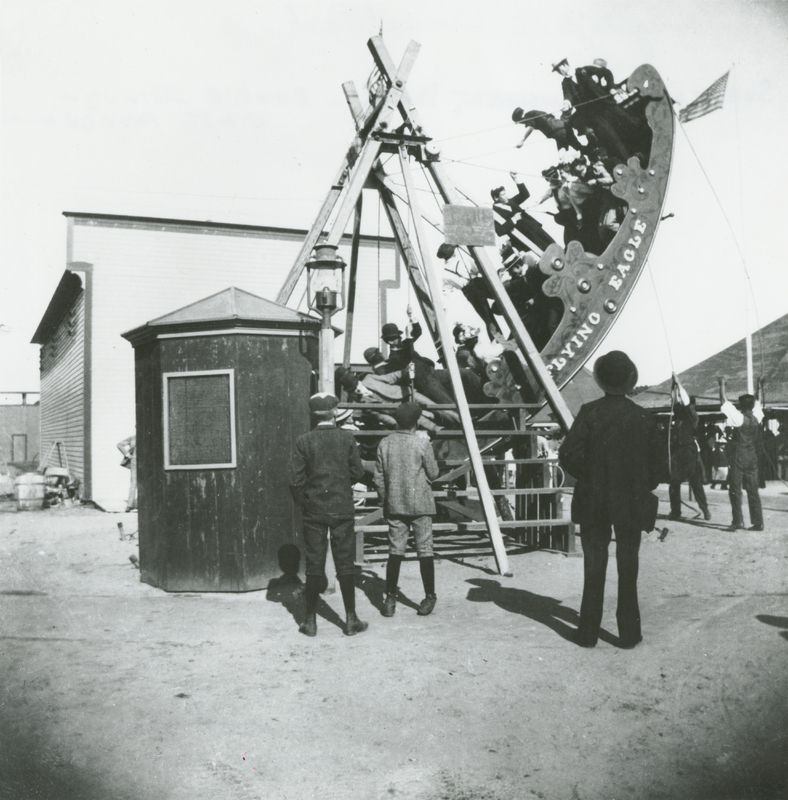 The lucrative rides at Crescent Park had names like the Spanish Fandango and the Russian Toboggan. But no other ride at Crescent Park is as well known as the 1895 Looff Carousel. Charles Looff’s (later owner of the park) carousel at Crescent Park had over 50 unique horses and is famed for its decorations and features. Charles Looff’s work also appears at Rocky Point with the Ferris wheel. During its peak, Crescent Park played host to different events such as concerts, regular clam bakes with all sorts of sides, ice skating, and the Exposition of the New England Association of Arts and Crafts. It truly was the, “Coney Island of the East.” This Exposition especially is a salient example of the industrialization happening around Crescent Park in the late 19th/ early 20th centuries. A 1902 souvenir booklet of the exhibition even acknowledged this explicitly, stating, “The aim of this souvenir is to present in a graphic form some of the Industrial Features of the State in the shape of accounts of particular businesses and industries, and at the same time to picture forth the beauties of the Sea and Shore on Narragansett Bay in the vicinity of the Exposition.” Just as the Exhibition combined industrial themes with seaside beauty, Crescent Park’s modern rides blended with its natural oceanside location to create a space for both amusement and relaxation. Economic difficulties and hurricanes hit the park hard, and the park suffered up through the 20th century until eventually in 1979 Crescent Park had to close. While Crescent Park may no longer be a fully-fledged amusement park, it can still be visited. The area where the amusement park once stood is now a public park on the shore with a gazebo, waterfront area, a clam shack, a boat landing, and the Looff Carousel, still in operation. 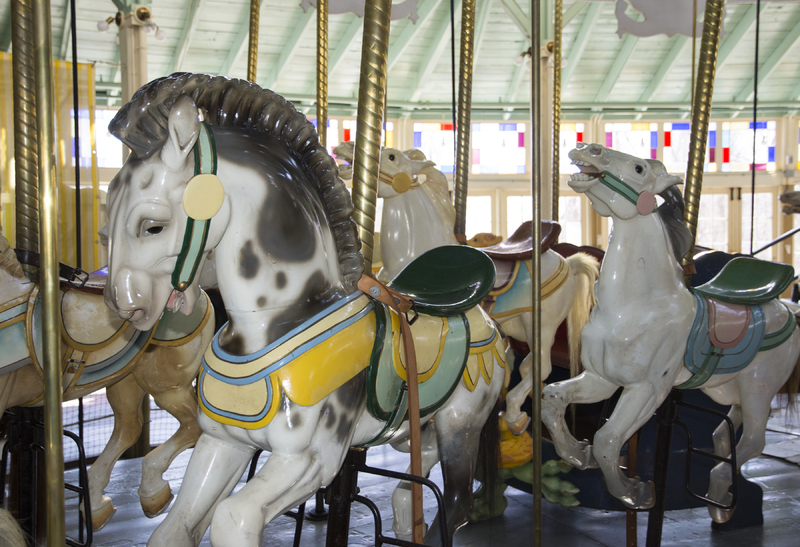 As of 1976, the National Register of Historic Sites and Places included the Looff Carousel. 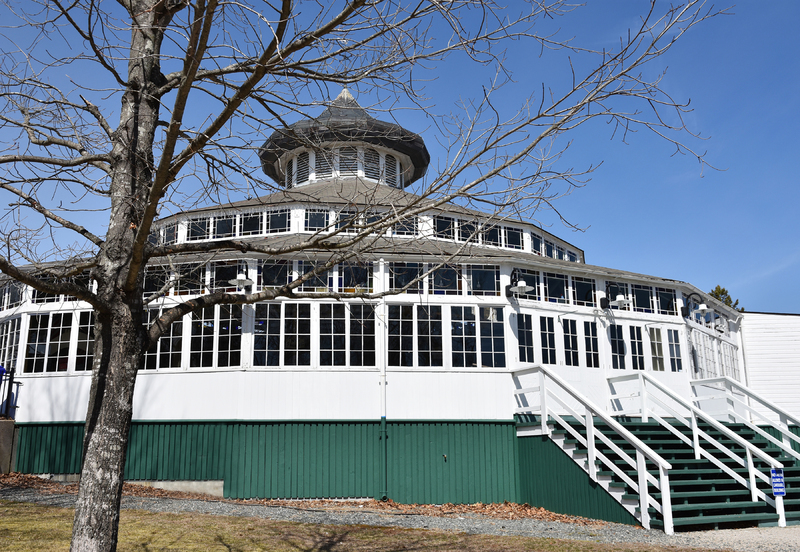 The carousel has undergone significant restoration this year (2018) at the New England Carousel Museum in Connecticut, and has returned home to Riverside. This Carousel serves as a reminder of Crescent Park’s great history: George Boyden, its backdrop of industrialization, and the restoration and carousel rides of today. 700 Bullocks Point Ave, Riverside, RI 02915 ~ Tickets to the carousel must be purchased, but the park itself is free to visit and park at. Parking is free! 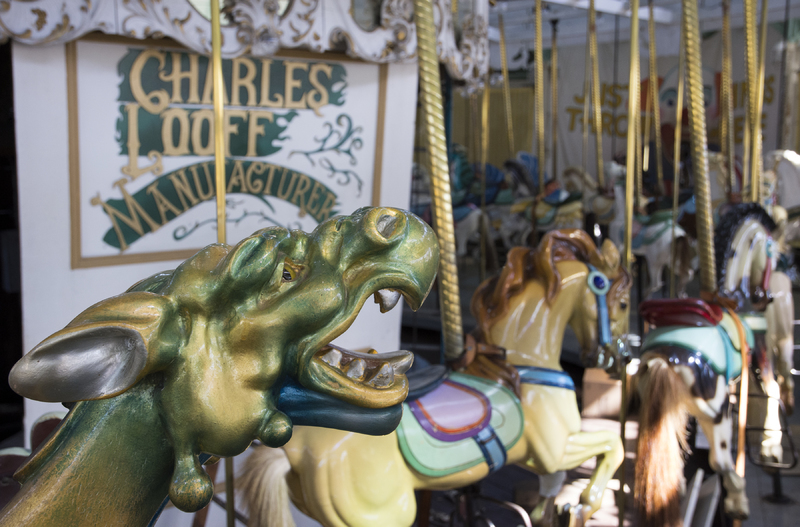 The parking lot across the street from the Looff Carousel is free, and open 9am-9pm. 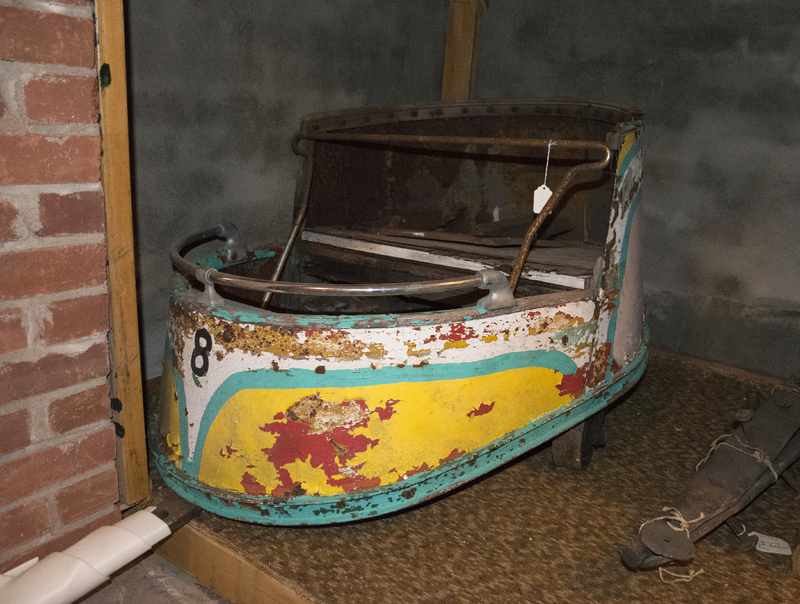 Make sure to peek in the museum in the carousel to see historic photos of the park. 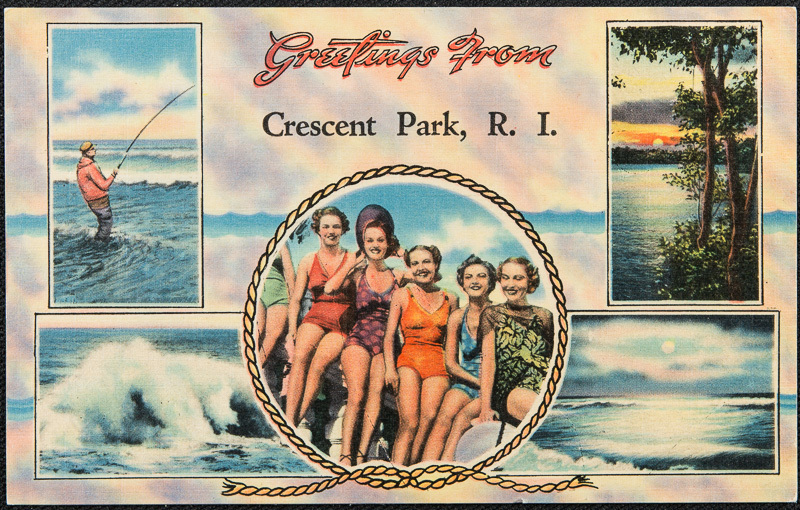 Janie Merrick, “Crescent Park: Carousels and Clambakes on the Coast,” Rhode Tour, accessed April 23, 2019, http://rhodetour.org/items/show/332.